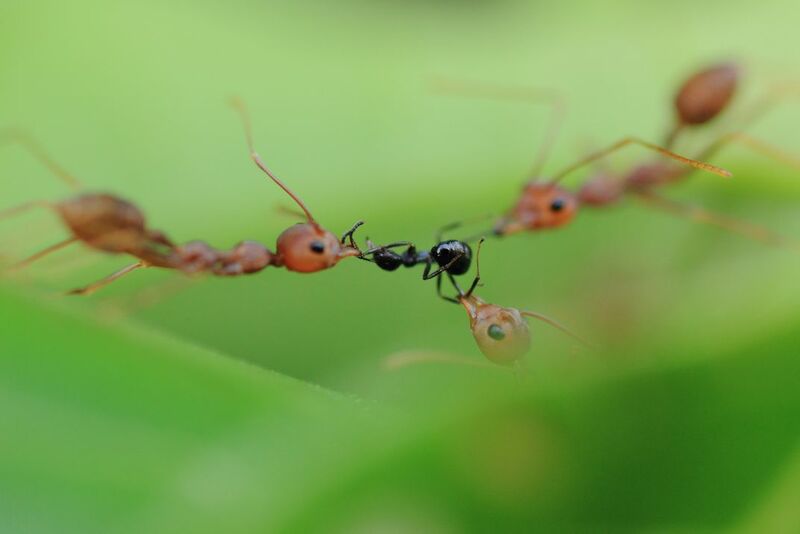 The triangle connection between three weaver ants (Oecophylla smaragdina) attacking an intruder. They will tearing it apart to carry back to their nest, gives an indication of the ferocity of these insects. Date Uploaded: Nov. 22, 2012, 7:10 a.m.